As a division of IMMI, CAPE was born out of a mission of Bringing Safety to People, and that is a goal we’ve met every day since day one. 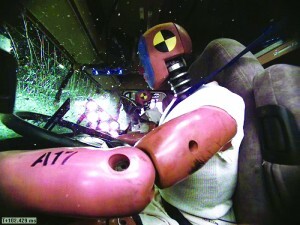 IMMI is the home of the Center for Advanced Product Evaluation (CAPE), Automotive International Testing Magazine’s 2011 Crash Test Facility of the Year. CAPE is a premiere test house which brings together advanced technology and specialized engineering expertise to provide customers with analytical information to support their most complex decisions. When your product is CAPE Tested, you can expect quality, credibility, unsurpassed expertise, and precise results. With the help of detailed data and images from crash testing, rollover testing, applied mechanics, and environmental testing, clients can assess performance of occupant protection products, as well as study multiple aspects of crashworthiness to aid in the development of future products. 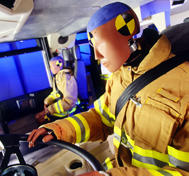 Our facilities and equipment are sized to handle an extremely broad range of test specimens from a single restraint system such as a child seat to a full size tractor/trailer vehicle. Originally built in 1996 in a 24,000 square foot facility on the IMMI campus, CAPE provided a dedicated facility for the testing of IMMI products as well as a new venue to attract external customer testing. But we were just getting started. In an effort to continually fulfill customer needs, CAPE underwent a $3.5 million dollar expansion in 2011. As a division of IMMI, a leader in the design, testing, and manufacturing of advanced safety systems, this expansion was a key step in the company’s plan to create a technology center to support development of occupant protection equipment for industries ranging from commercial trucks to school buses to motorsports. The expansion consolidated all of CAPE’s testing services into one 49,000 square foot facility, doubling the size of the CAPE complex, and offering our clients even more of the premier service they have come to expect from having their products CAPE Tested. We are located in Westfield, Indiana, just north of Indianapolis, the racing capital of the world.